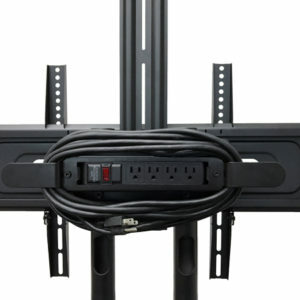 Fit Most 32″-65″ Flat Panel LED, LCD TV. 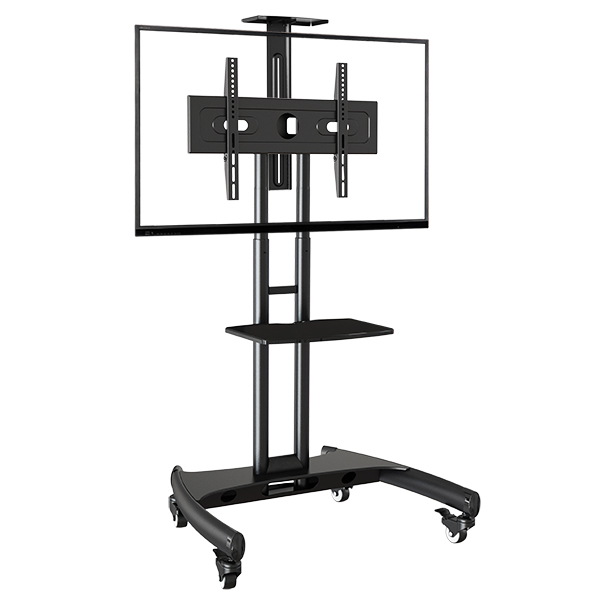 Whether you are looking for a large plasma TV stand for your limited living room, or can not find best way to setup your LED, LCD TV or display in meeting room, exhibition room, restaurant, here maybe it is your best selection. 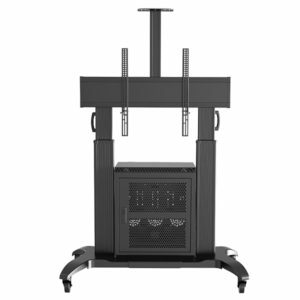 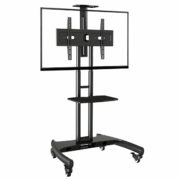 This is the newest modular designed light weight mobile display stand comes in black powder coat gives you a brand new looked with 2 heavy duty poles to give you height adjustment from 1030mm(40.5”) to 1530mm (60.2”). 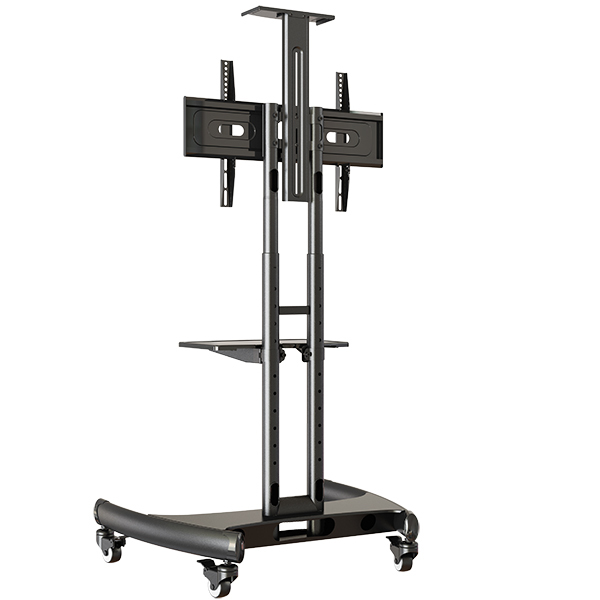 This AVA1500-60-1P comes with standard accessories like camera tray and AV accessories shelf. 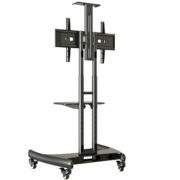 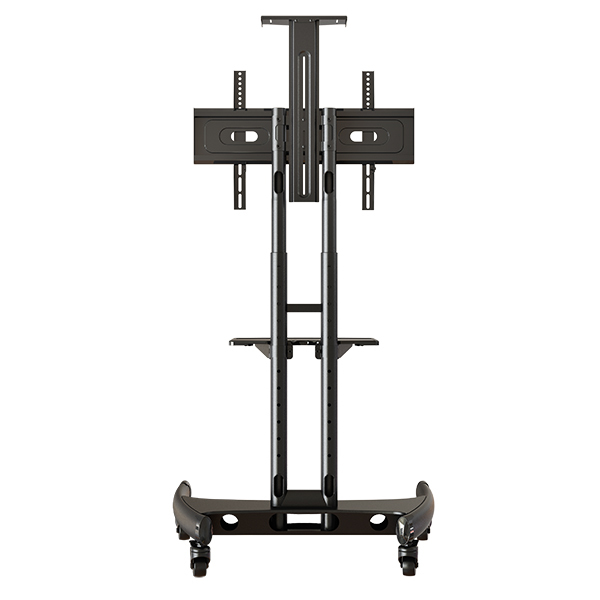 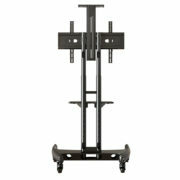 Its unique and convenience TV height adjustment by spring plunges; Cable management designed; Security padlock designed to prevent loss of TV are the most good features and selling points to you and your buyers. 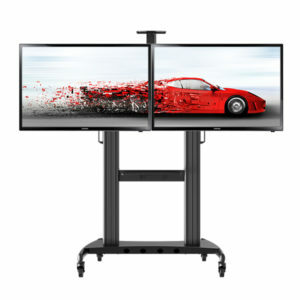 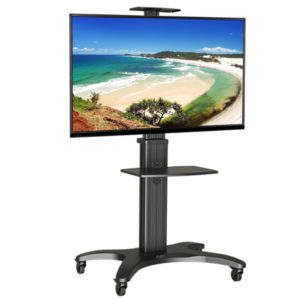 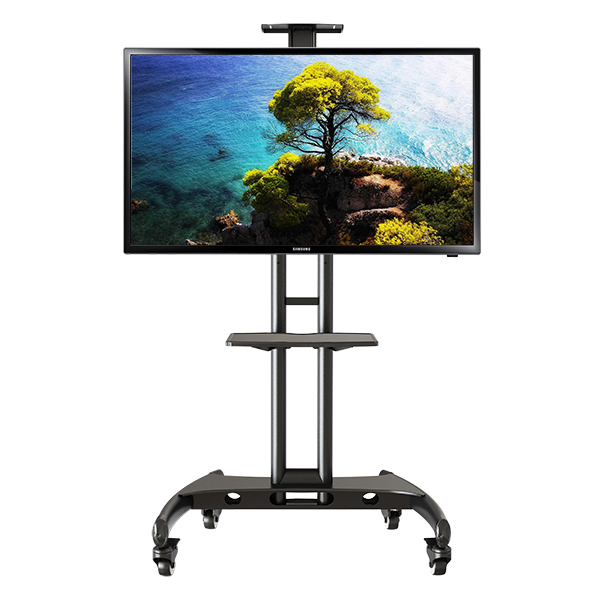 AVA1500-60-1P designed carried up to 100 lbs(45.5kg) or Maximum 65” flat panel screen with 4 heavy duty braked caster wheels installed.